Perhaps a bit of a trophy bottle, there is no denying that the packaging with this is pretty special. Glenmorangie owners LVMH have gone to town with this one which gets a curvaceous bottle and a gold lacquered box. The stuff inside isn't bad either. This is classic Glenmorangie so don't expect and big peat smoke or chunky sherry cask flavours. This is more about subtlety and silky smoothness. Ageing is done in a combination of American oak, sherry and red Burgundy casks which are married together before bottling. The core release in the Glenmorangie range is this their 10 year old 'Original'. Since rebra.. 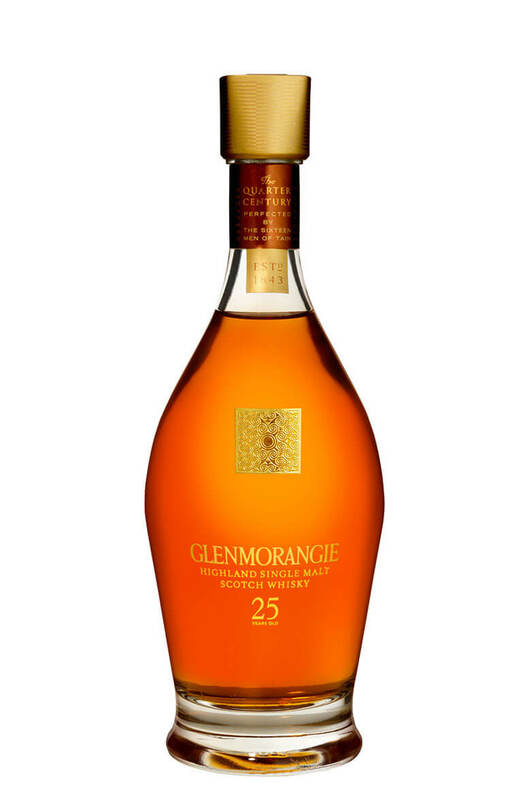 This is Glenmorangie's Sherry cask finished whisky. You could be forgiven for thinking that Lasa.. The Nectar D'Or gets it's name from the sweet Sauternes wine casks used for the final matura.. The Quinta Do Ruban has been matured for 10 years in standard American white oak (Bourbon) casks bef..
One of the world's greatest whiskies without an age statement. Signet is made from a unique mix of s..